– Dr. D David Schultz returns to the show for part three of our talk with him. 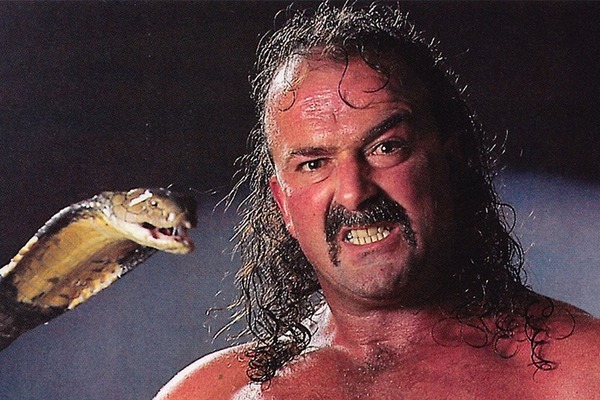 In this installment, David talks about his final days with the WWF, as well as what exactly happened between him and Mr. T! – The Superpodcast Roundtable returns with Jerry Grey & Kurt Brown discussing the Pacific Northwest. 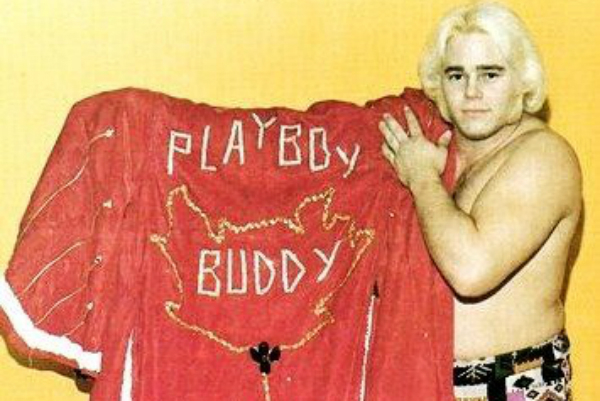 Buddy Rose, Roddy Piper, Elton Owen, Billy Jack Haynes, drugs & more are discussed! – John Hitchcock returns this week with another installment of Front Row Section D, discussing the 1975 Mid Atlantic U.S. Title Tournament! John also talks about Front Row Section D on tour, which was something that Dusty Rhodes did not want to see on his first night back in WCW! – TGBL & Scott discuss the Andre The Giant documentary, how much heat the Dudleys had, old magazine headlines & more! Plus the Top Ten with Hot Dog & Lasto, The Handsome Boogie Man, The Magnificent One, Hiccuping Moolah & much more! 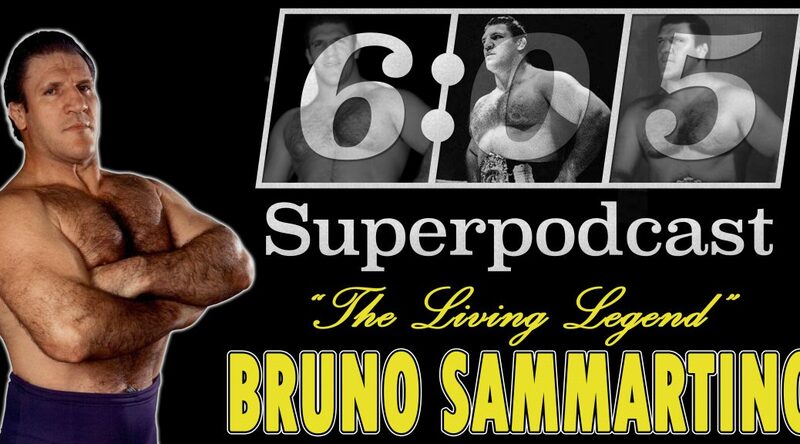 The 6:05 Superpodcast takes a special look at the life and career of the legendary Bruno Sammartino! The Great Brian Last is joined by John McAdam, for this tribute to Bruno, with many voices lending their thoughts and memories! 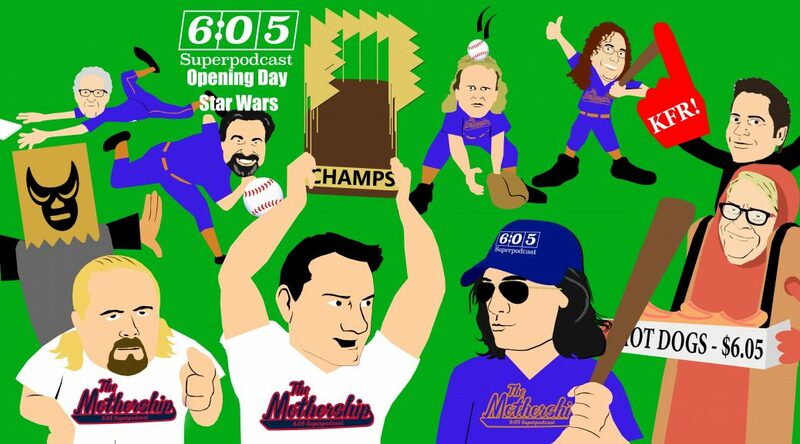 It’s Opening Day of the baseball season, an eternal day of optimism and hope, so that means it’s time for another 6:05 Superpodcast Star Wars special! – The legendary Don Leo Jonathan joins the show to look back at his historic career. Don Leo talks about his father, Brother Jonathan, and his memories of watching him wrestle as far back as the mid 1930’s. 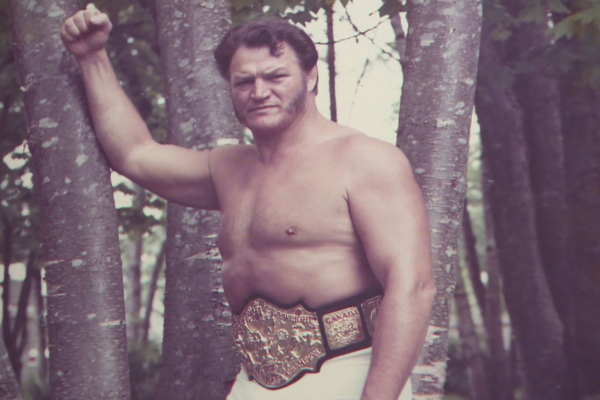 Don Leo also shares his memories and thoughts about Jess McMahon, Rikidozan, Eddie Quinn, Giant Baba, Antonino Rocca, Killer Kowalski and more! This is a rare chance to hear from someone who was a main eventer everywhere during wrestling’s golden age! – Dr. D David Schultz returns to the show this week for part two of our discussion about his life and career, as well as his new book Don’t Call Me Fake! 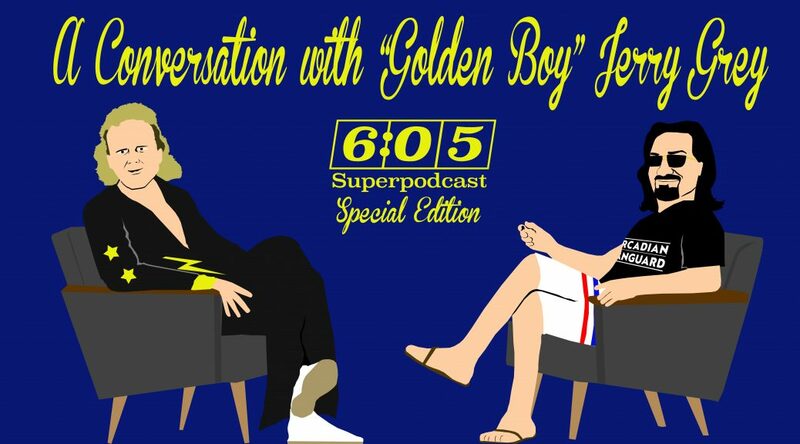 In this installment, David talks about running into one of the Nasty Boys, Verne Gagne, Dennis Condrey, Phil Hickerson, and more! The Doctor also talks about his experiences in Poland, and why some people just seem to mess with the wrong guy! – Scott Teal joins the show again for his annual visit to discuss Crowbar Press! Scott looks back at the many fine books he published in 2017 and gives us a sneak peak of what’s on the agenda for 2018! – Jeff Walton is back this week, to discuss his experience in 1983 when he took over Vince McMahon’s programs & magazines. This conversation gives some insight into exactly what Vince was planning as his national expansion kicked off! – Defense attorney Mickey Sherman joins the show to discuss defending the Iron Sheik after a 1985 incident at a gas station. Mickey explains what happened and the unique approach he took to ensure his client was seen by the court in a good light. 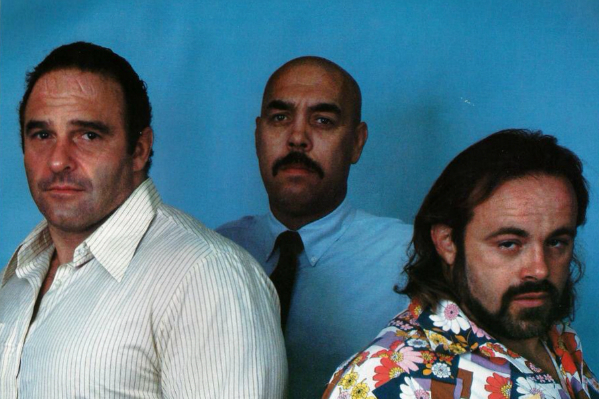 We also hear Mickey’s memories about the Iron Sheik’s 1987 arrest with Jim Duggan, where he once again defended the former WWF Champion. We play classic audio from the 1985 promos Mickey filmed for the court, featuring Lou Albano, Bobby Heenan, Fred Blassie, Cyndi Lauper & Gene Okerlund! – John Hitchcock returns this week with another installment of Front Row Section D! John’s story this week concerns the final event WCW ran in Greensboro, the night of the squeegee! John explains the original squeegee incident and how it inspired him to create something special for this event. As always with Hitch, this is a fun ride! – We have another edition of the popular “What If?” segment with TGBL & David Bixenspan! 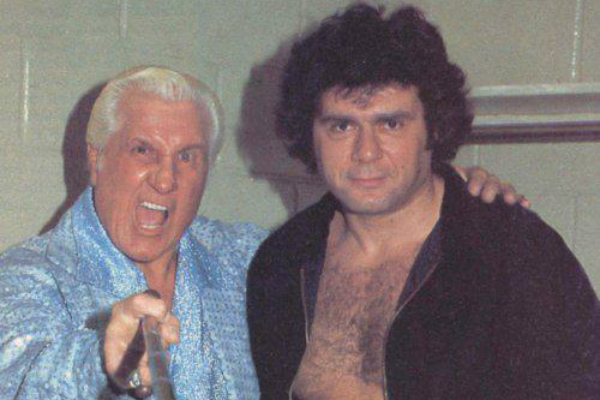 Topics discussed include Gino Hernandez, Antonio Inoki, Continental, Jerry Lawler, Dusty Rhodes, Dynamite Kid & more! – Allan Blackstock returns this week to once again give his opinion on a controversial topic, as he explains why he thinks Bruiser Brody is overrated! – John McAdam presents his list of the top ten wrestlers who would have been better than Harley Race as the NWA Champion between 1977 & 1981! Plus, TGBL & McAdam discuss the Ric Flair 30 For 30, Thunderbolt Patterson, Bruiser Brody, Great American Bash 1991, The Horsemen & more!